We manufacture Molded Rubber 'O' Ring and Gaskets are manufactured using quality materials like neoprene, silicon, viton, polyurethane etc. Our clients can give their specifications and avail our services with their choice of sizes depending on their drawings and samples. 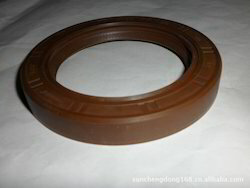 We offer a wide range of oil seals, which is the mechanical seal for rotating and static force resist deformation under pressure, thermal, wear and lubricity. Made from superior quality raw material such as: NBR, viton and HNBR, our range is features with high mechanical strength, sealant and resistance to rust. 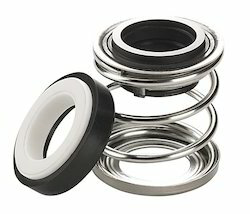 These find wide application in hydraulic seals, vacuum seals, seals, engine - motor shaft and transmission seals. Color Red, Black, White etc. Application: Apply as the valve for open-close, regulator pressure control for gas or pressured switch instruments and vacuum equipment. 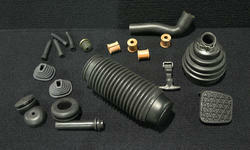 We offer varied kinds of molded rubber components, which are used in varied industries for several applications. These can be developed as per the specific requirements of our clients within a stipulated frame of time and is available at competitive rates. 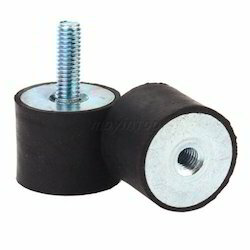 Avail from us a wide range of rubber mounts, which is an anti-vibration product that has been manufactured to work over a wide range of machinery. Meeting the highest standards of quality, we offer our range of rubber mounts specifically as per the requirements of our clients at industry leading prices. 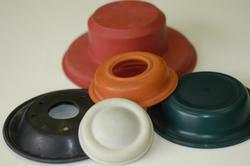 Looking for Moulded Rubber Products ?